If you've ever wondered how to make a free website from scratch without needing the web development skills to do it, you'll be glad to know that with the tools available today, it's totally possible and quite easy to do. Whether you're looking to set up a small business website, an online photography portfolio or even just a personal blog, almost anyone can learn how to make a free site using basic internet skills. A self-hosted website is one you set up yourself whereas a hosted website really just involves signing up for a free account on a hosted website platform. Self-hosted websites cost money to set up and maintain because it's up to you to purchase your own domain name and get a hosting provider. They also often require more technical skills for building and maintaining your site. Hosted sites are not only free, but also simpler. The downside is that you won't get your own domain name (unless you choose to integrate it with a purchased domain from a domain registrar) and there are more limitations to what you can do with the design and functionality of your site. Overall, a hosted website is a great option for beginners. You can always make the transition to a self-hosted website at a later time down the road. You have a ton of options when it comes to choosing where you will be building and hosting your free website. Here are just a few of the most popular and practical services you can use to build your free website. Blogger: A free blogging service that gives you some pretty basic and easy customization options and access to the Blogger community. WordPress.com: A blogging tool and publishing platform with an extremely customizable content management system, including lots of great themes to choose from. Google Sites: An easy-to-create website builder tool with modern functionality. Tumblr: A microblogging platform for multimedia-rich content. Wix: A popular newcomer to the website building world that gives you complete control over how you decide to design your site. Weebly: A popular and intuitive platform that offers you a powerful drag-and-drop tool to quickly build and customize your site. There is actually no "best" platform or service for hosting your free website. These are some of the most popular and trusted platforms suggested for people who are new to web development and want to create free sites or blogs. The best choice for you will depend on your own needs, technical skills and of course the nature of the content you want to create. When you sign up for any of the above free website building tools, the first thing you'll be asked to do is enter an email address and a password to create your account. This will be used to sign-in to your dashboard where you can build, customize and edit your new free website. Most services will ask you to confirm your account by clicking on an activation link in your email before you can login and begin building your website. Once your free account has been created, you will usually be asked to choose a name for your website and a unique web address or URL. Because you are building a website for free, which is being hosted by another platform, you will not be able to secure a web address that reads: www.yoursitename.com. Instead, your web address or URL will read: www.yoursitename.blogspot.com, www.yoursitename.wordpress.com, sites.google.com/site/yoursitename/, yoursitename.tumblr.com, or yoursitename.wix.com. Domain options: Some website builder tools give you the option to purchase your own domain name from another domain registrar and point it to your site. So instead of yoursitename.tumblr.com, you could actually buy yoursitename.com from a domain provider and then set it up to point to yoursitename.tumblr.com. Tumblr, for example, allows you to set up a custom domain name. You might be looking at some of these free services while thinking to yourself, "hey! I want a website, not a blog!" Or visa versa. Although services like Tumblr and Blogger are mostly known for being blogging platforms, you can still use them to create a dynamic website with as many pages as you like. These days, a blog is just one component of an entire website. All free web hosting services come with a dashboard or administrator interface, which allows you to do a number of the following things to customize your new website. Give your site a name and optional tagline: Most free website platforms will put your website name or title and subtitle or tagline somewhere in the header. Choose a theme or layout: Sites like Tumblr, Blogger, Google Sites and WordPress have pre-made layouts for you to choose from so you can customize the look of your website. Create a new page: Set up as many static pages as you want on your website. For example, you may want to create an "About Us" page or a "Contact" page. Create a blog post: One page of your website should show a syndicated feed of your latest blog posts. When you write a new post, it should be shown on whichever page displays the blog. Upload a logo: Depending on the platform and theme you're using, you might have the option to upload your own custom logo as an image file, if you have one. 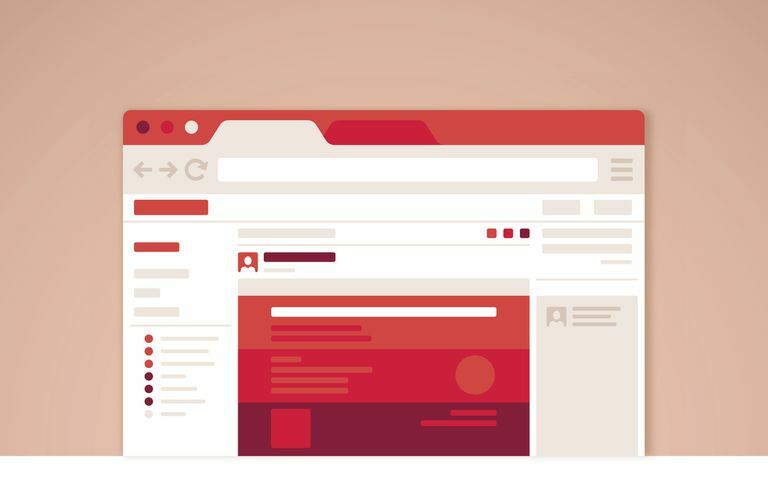 Besides choosing a layout, creating pages and writing blog posts, some platforms offer more options to further customize your website so that it looks extremely unique and just the way you want it to look. Fonts and colors: Some dashboards allow you to choose a consistent font style and color for your titles and text. Multimedia integration: Most content management systems have a content box that allows you to insert your content, along with options for uploading pictures, video or music. Sidebar and footer widgets: You can usually to add a number of features like blogrolls, links, photos, calendars, or anything else to the sidebar and sometimes footer of your website so that it is displayed on every single page of your site. Plugins: WordPress is famous for its wide range of available plugins that help accomplish a specific task without needing to code it for yourself. For example, there are plugins available for to display your social media accounts and to battle spam comments. Comments: You can choose to enable or disable comments on your blog page. Social media: Some platforms such as Tumblr give you the option to integrate your site with social networks like Facebook or Twitter, so they are automatically updated when you create a new post. To build and maintain your social presence, consider using some of these social media management tools too. HTML editing: If you understand and know how to use HTML code, you might be able to customize your layout according to your own preferences. Although most free web hosting services don't offer open source access, sites like Tumblr allow you to edit or change some of the code. Once you've gotten your website looking exactly the way you want it to look, you can add the text, images and other media that you want to feature on your website. If you don't have your own images to use, make sure to check out these 10 websites that let you download free images to use for anything.